b5Studio: Double your pleasure . . .
A room sometimes needs outside help. you didn't think of yourself. with a worldly and casual feel. a leaning floor mirror, and some wall plate/baskets. Even works in a bedroom! an ottoman, and a wall hanging. 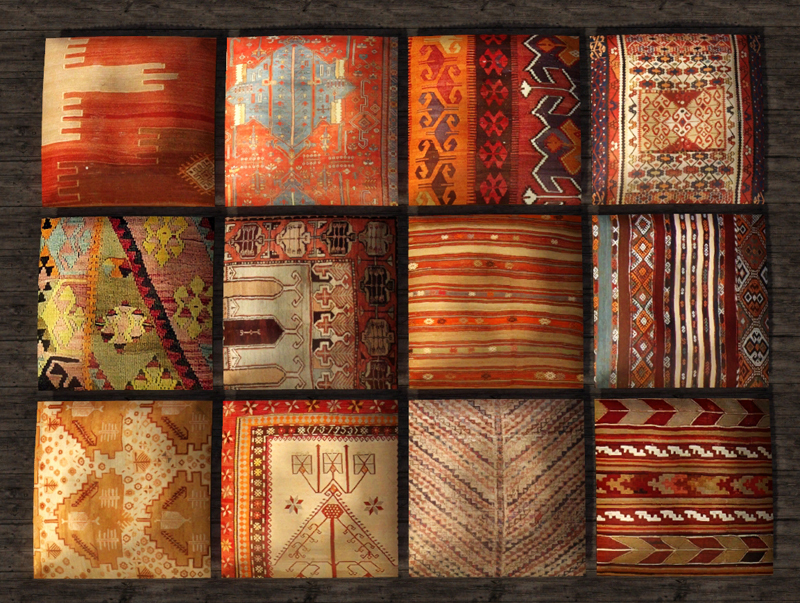 These are all designed with Kilim rugs. What's new is that each is also CASt-able by you! to work for whatever space. Pfft - not that you'll ever need to . . . . The one object we both contributed to is a wall hanging. This mesh was designed by Exotic Elements. 11.21.10 White lines have been corrected and are included in this download. 11.21.10 See? All better! Aww! See - two heads are better than one! the ottoman, pillows and wall hanging NOW! works on only some EA sofas and chairs. that are all varying heights and kattywompus. 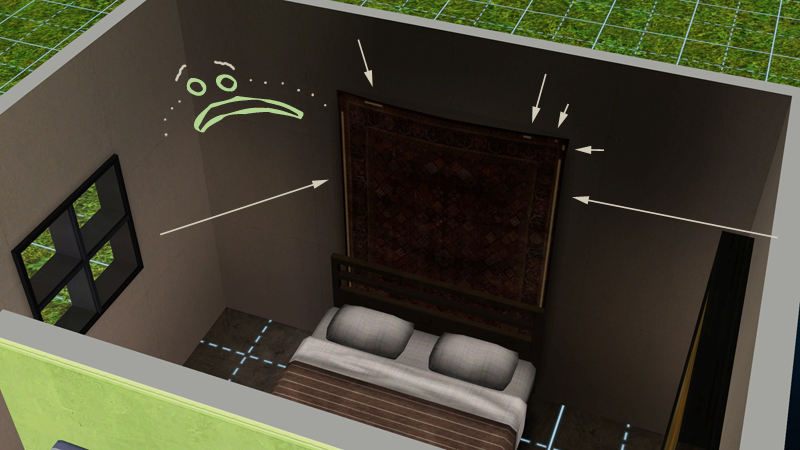 It can be placed with [moveobjects on] cheat. Hold the ALT button to turn and place off grid. Oh.My.God. This set is SO (insert expletive) gorgeous! I hope you guys do many more collaborations. The mix of your two styles is just amazing. This along with your updated furniture just totally made my day! Thank you both for your continued work and sharing these wonderful things with the community. I am loving that you and Heidi are working together. Heidi's work was a favorite of mine for Sims 2 and was excited she was creating for Sims 3, but now working with you, Bau, I am over the moon with what the two of you coming up with. 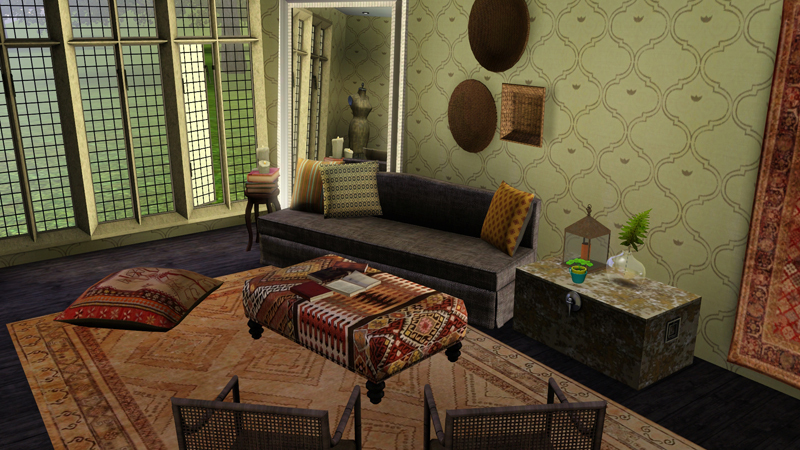 I love eclectic styles mixing with the exotic, just like in real life, and really love that my sims can have it too. Thanks to you and Heidi for this collaboration. I am so in awe of this! Luxury, sweetie darling! Thank you! This set so damn gorgeous! Thank you for sharing! Absolutely gorgeous and well crafted, you two (and I can see you're getting better and better ♥ ). Thanks for these! Thanks you! 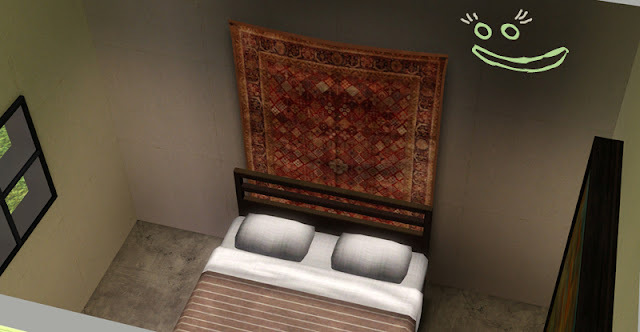 Your kilims are gorgeous: they will surely warm up some walls in my neighborough.. This is so beautiful. Everything you do is fantastic! May I ask where you got the finial? It wasn't included in either set. I think I have almost everything I need for a 19th century Turkish house I'll be working on thanks to you. Amazing set, thank you! Let me say thank you to everyone - really, neither Heidi of Exotic Elements or I realized this would be so well received. We are both touched by everyone's kind words and compliments. Thank you very much from both of us, it really inspires us both to bring forth the very best we can! A quick note - lakergurl2000 asked about the finial I mention that is available from Exotic Elements. There was a little confusion on my part. I had thought this was going to be in this release, but the mapping was not to Heidi's high standards so what I was sent was more a test piece and I misunderstood. With that in mind - keep your eyes peeled. We're working on new things always and her next set is especially cool and is inspiring me to try a couple of items to compliment it . . . I think the finial will make it to this next set. Fingers crossed - I love architectural items for decor. Thanks again everyone - Baris I hope you let me know if you post pictures of this house - sounds like an very cool project!! Thank you so much! I love finials in RL, and I can't wait to have some in my game. Thank you everyone for your kind comments - this really is such a surprise and a great one too. I hope you'll enjoy the next set as much! Velvet - I have been quiet at LivingSims for a while now - private matters have been a lot to absorb, but has inspired me to create - it's been a great distraction! I will make more of an effort, but know I am there every single day - everyone there is such an inspiration! Hey, there! I stumbled onto your today and was amazed at your work. You're a fantastic designer! I especially loved the antique set. I'll recommend you to all of my friends!